One of the core beliefs at The Building for Kids Children’s Museum (BFKCM) is that every child and family deserve a chance to play. Families going through financial difficulties can visit the BFKCM for $2 per person under the newest program, Access Admission, part of the national Museums for All program an initiative between the Association of Children’s Museums and the Institute of Museum and Library Sciences. Access Admission is also part of the BFKCM’s Access for All programs which help support families and children in times of need and financial difficulty, giving kids the opportunity to experience the simple joys of being a kid. Other programs in Access for All include Access Membership that offers reduced rate yearly BFKCM Memberships, Organization Access Membership for families that are utilizing various basic needs organizations to visit the BFKCM, Field Trip Grants to reduce the cost of field trips and Discovery Classes for schools with a high free and reduced lunch rate and more. The Access for All programs are made possible by generous donations from the community. To support the BFKCM and the Access for All programs, visit buildingforkids.org/access-for-all. The Building for Kids (BFK) will be celebrating what makes our community unique at Diversity Discovery Free Day on Sunday, February 11 from 12 p.m. to 5 p.m. In partnership with Celebrate Diversity and University of Wisconsin – Green Bay, with the support of the Children’s Hospital of Wisconsin, this free admission day will feature all the fun of the BFK plus local non-profit and community groups with hands-on activities for families to learn, discover and celebrate diversity. Activities include making a xauv (a traditional Hmong necklace) with the Southeast Asian Students Union from UWGB, creating paper bag piñatas with Casa Hispana, computer programming with WIT4Girls and more. Plus, play Plinko with the Children’s Hospital of Wisconsin and get information about their anti-bullying website, Act Now! Along with the family-friendly, interactive activities, there will be different programs including the Oneida Nation Dancers, a play by Gain Peace and the Lawrence University Gamelan. Diversity Discovery Free Day is supported by Children’s Hospital of Wisconsin, Community Foundation of the Fox Valley Region and the Mielke Family Foundation. This is what the Innovation Lab, currently under construction, looks like! Not very exciting? It will be! We are hard at work on programs, interactives and challenges to get you and your family engaged with STEM (Science, Technology, Engineering and Math). 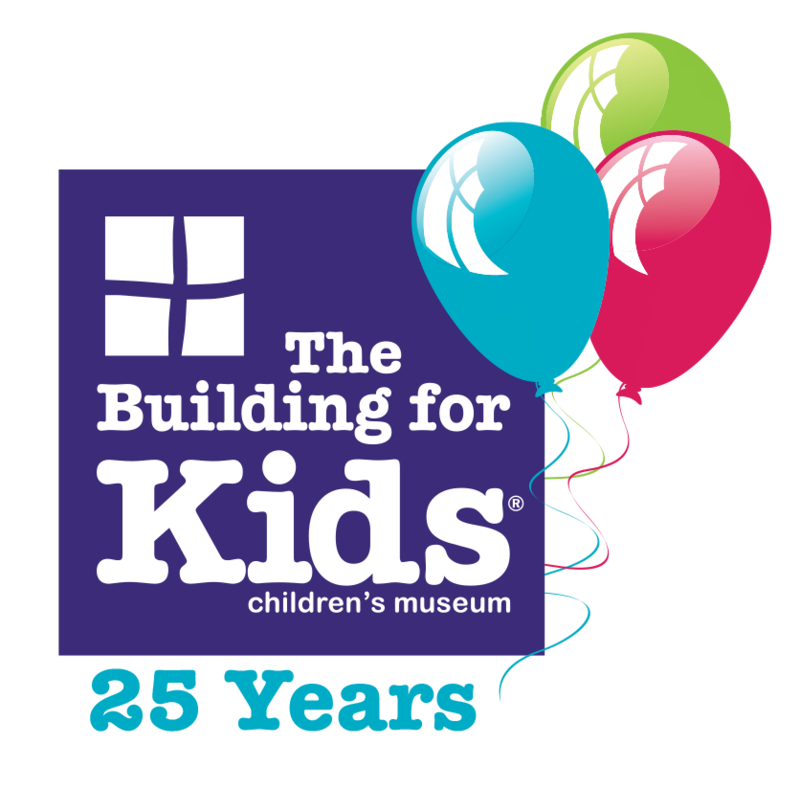 A lot of giggles, memories and milestones can happen in 25 years, and The Building for Kids (BFK) is celebrating them all! It is not just a celebration for the BFK, but for the community that created and supports it. Throughout the year several exciting events and additions will take place, including the 25th Birthday Celebration and the first expansion in over 10 years. On November 4, the BFK will be throwing a birthday party like no other. The event, which goes from 6 p.m. to 9 p.m., will include the unveiling of the new Innovation Lab, a chance for adults to check out the BFK and play on the exhibits, highlights from programs and more. Guest must be 21 or older, but a kid at heart. Tickets are $10 a person, or two for $15. Click here for tickets. And the day after is for the kids! STEM (Science, Technology, Engineering and Math) Free Day, supported by The Boldt Company and Gulfstream Aerospace Corporation, is November 5 from 12 p.m. – 5 p.m. (10 a.m. – 12 p.m. is Members only). Part of the Wisconsin Science Festival, this free admission day will let kids investigate different interactive STEM activities and programming, including a visit by Professor Gizmo. Plus they can check out the newly opened Innovation Lab. The BFK’s first addition in over 10 years, the Innovation Lab, is a space for kids and their adults to explore STEM. Details will be released weekly about the Lab on social media and the BFK website, with the final unveil on November 4 at the 25th Birthday Celebration. The Innovation Lab expansion is possible because of support from the Bemis Company, Fox Cities Convention & Visitors Bureau, Community Foundation for the Fox Valley Region, The Boldt Company, Great Northern Corporation, Neenah Foundry, Doug and Carla Salmon Foundation, Secura Insurance, Miller Electric Manufacturing Company, Plexus Corp., Hartwig Family Foundation, School Specialty, US Venture, WE Energies Foundation, GEI Consultants, Ameriprise Auto & Home Insurance and American Transmission Company. The Innovation Lab is just one of the exciting things in progress for the 25th year. Six exhibits are currently in different stages of development, with all scheduled to be completed by the end of 2018. The Big Rig Garage, supported by L3 D.P. Associates and Schneider National, will be a garage like no other, complete with a semi truck driving simulator. Construction Junction, supported by The Boldt Company, will build off of the existing crane and add a truck and more building space and interactive construction activities. The da Vinci Studio will get an update, supported by School Specialty, which will include more ways for kids to express their creativity. Kwik Trip, supported by Kwik Trip, Inc., will be updated and incorporate more math, colors and shapes into the exhibit. Move It, supported by AZCO Inc., will see the addition of more simple machines fun. Happy Baby Garden, supported by Kimberly-Clark, will get a complete renovation, letting toddlers have around-the-world adventures in this specially created exhibit space for ages 0 – 3. The planning for the 25th birthday started several years ago with the goal to have all of the existing exhibits renovated or updated for the anniversary year. The first addition happened in fall 2015 with the Fox Communities Credit Union’s Littlest Branch. Shortly after, the ThedaCare Physicians Doll Hospital was updated. In September 2016, the Gulfstream Aircraft, Pierce Fire Truck and Thrivent Mutual Funds Water Gallery exhibits re-opened after updates and renovations. Because of the generous support of the community, by the end of 2018 over $2.5 million in updates, additions and renovations will have been completed at the BFK. The BFK birthday is not just about creating interactive exhibits, but also hands-on, innovative programs and events. New programs will add more art and STEM-focused programming to the program line-up, including studio time where kids will be able to use materials that might not otherwise be available to them. The 25th year will also see more and expanded events, including the 10th annual Children’s Parade. Another focus of the BFK is continuing to remove financial barriers for families going through difficult times. Initiatives include Family Access Memberships and involvement in the Museums for All program with the Association of Children’s Museums. As well as grant programs for schools with high free and reduced lunch rates to visit the BFK for field trips and Discovery Classes. Outreach programs weekly visit community partners like Homeless Connections and Harbor House to bring hands-on learning to kids and families that are in times of crisis. More BFK exhibit announcements, programs and events will be listed throughout the year on social media and here on our website! Looking to jam? The Building for Kids Children’s Museum (BFKCM) will have free admission for Music Makers Free Day Saturday, August 5, from 9 a.m. to 5 p.m. This event, created in partnership with Mile of Music, will feature music programs from the Mile of Music Education Team, plus other music and art activities. Along with the musical programs that will be happening all day long, families can enjoy the BFKCM exhibits and create musical instruments in the da Vinci Studio. Songs, dancing, and music games for little ones. Watch, listen and interact with lively storytellers as they bring picture books to life with song, dance and a ton of fun. Puddle Jumpers is an early learning program featuring music, movement, language and storytelling. Come sing, move, and find your rhythm in this colorful, music making session. Learn all about Mariachi music and instruments. Music Makers Free Day is possible because of the support of Habush Habush & Rottier S.C., Octoberfest and U.S. Bank. Plus additional support from the Appleton Noon Optimist Club and Walmart. The community is invited to the Children’s Parade on Wednesday, July 26 where kids 12 and under will be expressing their imaginations by parading in costume, riding decorated bikes or other non-motorized transportation in the 9th Annual Children’s Parade presented by ThedaCare. Family members can also join the fun in costumes or by pushing young parade participates in adorned strollers or wagons. The parade line up begins at 5:15 p.m. in Houdini Plaza. The parade starts at 6 p.m. with participants marching east on College Avenue, turning left on Drew Street and ending in City Park. Prizes will be awarded for individual and group floats for creativity, confidence, imagination and spirit. After the parade, there will be music with 95.9 KISS FM and a Fox Valley Food Truck Rally in City Park. Plus family activities including building activities with the Appleton Public Library, Mexican tissue flower creation with Child Care Resources & Referral, paper airplanes and origami frogs with the Paper Discovery Center, disc golf tutorial with the Greater Fox Valley Disc Golf Club, Dr. Seuss activities with Xavier Theatre Academy, games with The Building for Kids and more. “The Lego Batman Movie” will play at dusk. It’s time to unleash your imagination and get your floats ready for the 9th Annual Children’s Parade on Wednesday, July 26 in downtown Appleton. Presented by ThedaCare, the Parade invites families to express their creativity by parading in costume, riding decorated bikes or other non-motorized transportation. Registration is free, but required, at buildingforkids.org. The parade line up begins at 5:15 p.m. in Houdini Plaza. The parade steps off at 6 p.m. with participants marching east on College Avenue, turning left on Drew Street and ending in City Park. In City Park after the Parade, there will be a Fox Valley Food Truck Rally, music with 95.9 KISS FM and family activities. “The Lego Batman Movie” will play at dusk. Prizes will be awarded for individual and group floats for creativity, confidence, imagination and spirit. Children’s Parade is part of Children’s Week, an annual community-wide celebration of kids. The Building for Kids Children’s Museum (BFKCM) will be celebrating what makes us unique at Diversity Discovery Free Day on Saturday, May 6 from 9 a.m. to 5 p.m. In partnership with Celebrate Diversity and University of Wisconsin – Green Bay, with the support of the Children’s Hospital of Wisconsin, this free admission day will feature all the fun of the BFKCM plus local non-profits and community groups with hands-on activities for families to learn, discover and celebrate diversity. Along with the family-friendly, interactive activities, The Mielke Family Theater will have different programs including multicultural story time with the Appleton Public Library, the Oneida Nation Dancers and the Lawrence University Gamelan. Diversity Discovery Free Day is supported by Children’s Hospital of Wisconsin, Community Foundation of the Fox Valley Region, Bemis Company Foundation, Mielke Family Foundation, Associated Bank, City Café, Schneider National Foundation and Shopko Foundation.